I am re-visiting a book that changed my life when I first read it 5 years ago and it is once again making my life better. To say that I recommend it would be an understatement. Some of you might think that spending a lot of energy on one’s own happiness is self-indulgent. I am here to tell you that there is no more important pursuit for you, your family, or anyone in your life than your existential satisfaction. For the purposes of our discussion today, we will focus on how your ultimate happiness will make you a better salesperson, colleague, boss, and overall human. Step 2: Read the Book. OK – Now that you’ve done those two things, let’s talk about getting started. 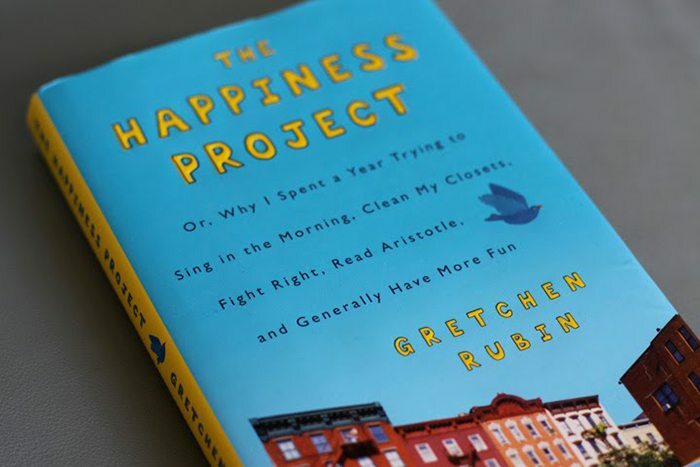 The author, Gretchen Rubin, sets out to be happier by tackling one resolution for each of 12 months. Her intent is to enact real change at the beginning of a year instead of making resolutions only to have them fall by the wayside by mid-February. Before she tackles the actual resolutions, she comes up with Twelve Commandments as a foundation for lasting and real change. I am going to share with you some of those Commandments that can be used by any of you in your work life to be happier, more effective, and ultimately more successful. BE YOURSELF. Authenticity is a cornerstone to a real relationship. Your prospects and customers need and want to get to know the real you. It is time to take off the salesperson mask and be you. Be vulnerable, be honest, and I guarantee you people will respond with the same. They will trust you, they will communicate with you, and you will understand a lot more about what motivates them. DO IT NOW. This commandment is all about transforming “SHOULD” into “WILL”. If your internal monologue is telling you something like, “I really should ________” then my friend, all I have to say to you is DO IT NOW. Stop getting in your own way. Stop making excuses. Stop doing the easy stuff and get down to the business of doing the stuff you know you need to. ENJOY THE PROCESS. Instead of looking at change and even hard work as something to dread or fear, what if you looked at it as an exciting challenge that was going to help you make your dreams come true? Have you ever decided to train for a race or try yoga or planned a vacation somewhere you’ve never been? Same rules apply here. The unknown can stimulate your brain and result in all kinds of goodness like new clients, more money, and the realization of your wildest dreams. IDENTIFY THE PROBLEM. Anytime a change needs to happen, it is because something is not right. When my body hurts, I do yoga or go for a run. When my mind hurts, I mediate. Being able to diagnose what is standing in your way is the first step to the remedy. If you can’t identify it on your own, talk to colleague, a friend, or me. I can help. LIGHTEN UP. Our work is serious. There is no question about it. But that doesn’t mean that it can’t be fun. Perhaps you need a change in perspective or a reminder of why you got into this business in the first place. Think of a time when you were proud of the job that you did. Think of a project that you were particularly instrumental in and that produced fantastic results for your company and for your client. I am serious about this. Do it. And more importantly? Commit to having fun each day. Maybe it’s a lunch with a colleague or taking a client out for ice cream. What you do is not nearly as important as THAT YOU DO SOMETHING. Make it fun. Fun always makes life better and it is cheap or free. I titled this piece Happy/Lucky/Successful. And that’s no accident. Here is the basic equation: Happy People + (FEELING LUCKY) = SUCCESS. Here’s to your happiness. 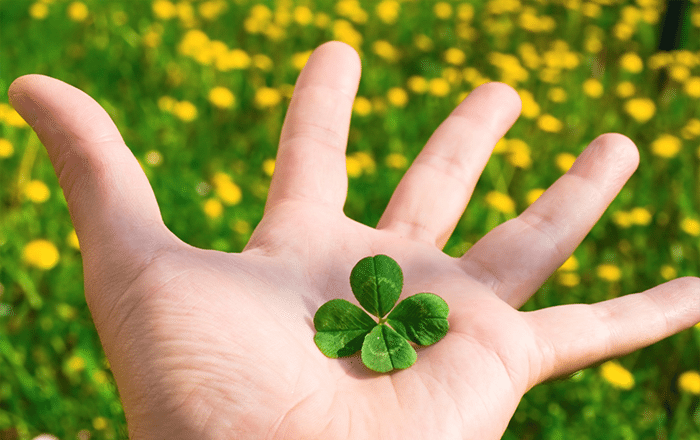 May it make you feel lucky and lead to your even greater success. As a sales and marketing coach and consultant at Success In Print, Kelly Mallozzi advocates for graphic arts companies to start a revolution and fight to keep print relevant. She may be irreverent, but what she lacks in convention, she makes up for in smart-assery. Connect With Kelly: Twitter @SuccessInPrint and check out her weekly blog on Printing Impressions.